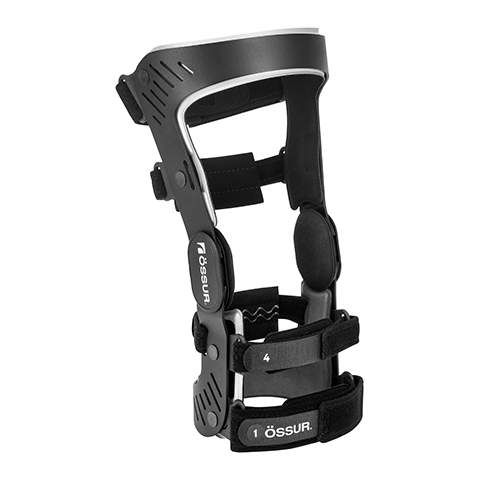 Evolving from the functional support and versatility of the Rebound® DUAL, coupled with high-quality customer care and services, Össur offers a knee ligament brace for everyone. The Rebound DUAL ST, a sleek step-through design built with the strength of aircraft aluminum. Leveraging a light-weight profile and patented hi-tech ActiveGrip™ liners, the Rebound DUAL ST was designed for exceptional comfort and fitting with ease. Offering the strength of aircraft aluminum with a light-weight design, the 14” (35 cm) frame-length keeps a low-profile. 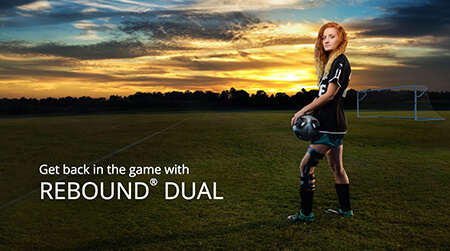 For knee conditions that may benefit from increased AP and ML stability around the knee, such as: ACL, MCL, LCL, PCL, rotary and combined instabilities. Visit the Rebound DUAL online experience to start your journey. Addressing the need for those experiencing knee ligament instabilities and unicompartmental osteoarthritis, we now offer a dedicated website for people looking for a high quality bracing option.